Looking for ideas to enhance curb appeal for your rental property around Atlanta? A rental home with a nice curb appeal can lead to quality tenants who will pay higher rent and take care of your home. The neighbors will appreciate it too! Here are five easy ways to enhance your rental home’s curb appeal. Outdoor hardware, such as doorknobs, locks, railings, and light fixtures can be expensive to replace. Older hardware can start looking old after a while and date your property. 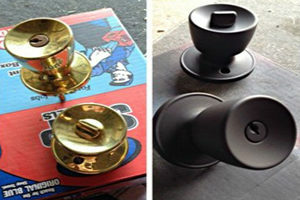 Try spray painting your hardware with an upgraded finish like oil rubbed bronze, brushed chrome or nickel. 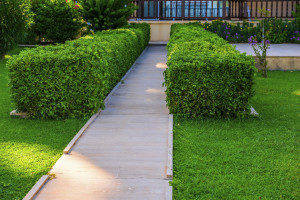 Spend an hour or two giving your front bushes and shrubs a spring trim and remove dead flowers. Focus on the area most visible from the street and work your way around the house. You will thank yourself for trimming up your yard. No one ever complained that someone’s yard looked “too good”. 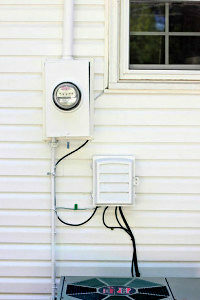 There is nothing pretty about exposed electrical boxes. Camouflage them by painting them a color similar to the color of the home. Also, don’t forget to wash away mold, mildew and spider webs that may be unsightly. Don’t leave your water hose curled up on the side of your house. Hang it up on a nice wall mounted hanger or even better, hide it in an appealing box or container. 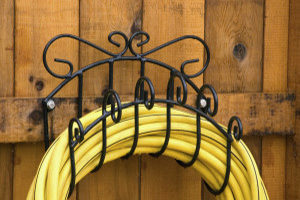 There are several decorative hose holders, hose bins and hose reels available at your local hardware store or nursery. You’d be amazed at how much dirt is covering your home. 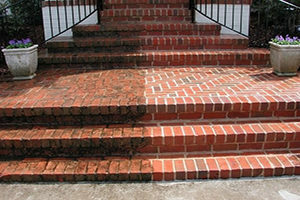 Pressure wash the walls, windows, siding, concrete, and decks for an amazing clean look and feel to your home. The inexpensive investment you can make!